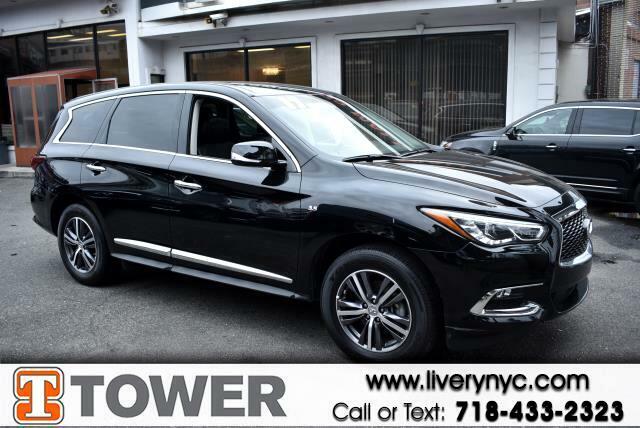 Want to know the secret ingredient to this 2018 Infiniti QX60? This QX60 has 34242 miles, and it has plenty more to go with you behind the wheel. Its sensibility is matched by a spread of extra features, which include: roof rack,heated seats,power seats,moon roof,rear view camera,power windows,power locks,blue tooth,mp3 audio input,leather seats,third row seat and all wheel drive Not finding what you're looking for? Give us your feedback. With more vehicles and deals than you know what to do with, you’ll love the options we have for you.